This is a genius recipe. 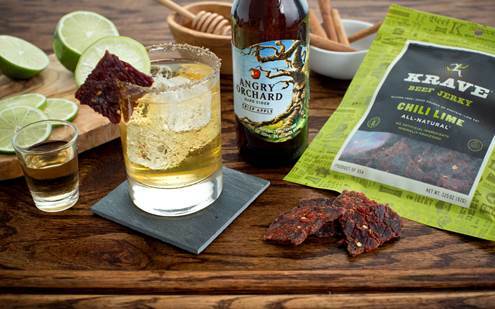 The good people at Krave Jerky contacted me about this great cocktail recipe they formulated in conjunction with Angry Orchard hard cider. And read through to the end of this post because there’s a limited-time-offer free giveaway attached to this in celebration of National Jerky Day, which is Sunday, June 12th. Tear up a medium sized piece of the beef jerky and add it to the tequila. Let that soak for a while, like 20-30mins, before straining off the tequila. Boom. Just like that you have your jerky-infused tequila. The honey syrup is easier to put together: just add cinnamon to a honey simple syrup if you don’t have the time or patience to let a cinnamon stick soak in the syrup. Add all ingredients into a shaker with ice and shake. Strain into a low ball glass with ice and a smoked salt rim. Garnish with a piece of Krave Chili Lime Beef Jerky. Okay so here’s how to enter the giveaway: Simply go to my Facebook page, Twitter feed or Instagram gallery, follow, and use the tag #jerkylove in a comment related to this post or the picture above. Do that so I know that you are actively entering this contest. Pretty simple. Tell your friends to enter, and use the tag on all three of my social media accounts to increase your odds of winning. On Sunday, June 12th, which is National Jerky Day, I will select a winner at random and first I, and then Krave, will contact you regarding the prize. What’s the prize, you ask? 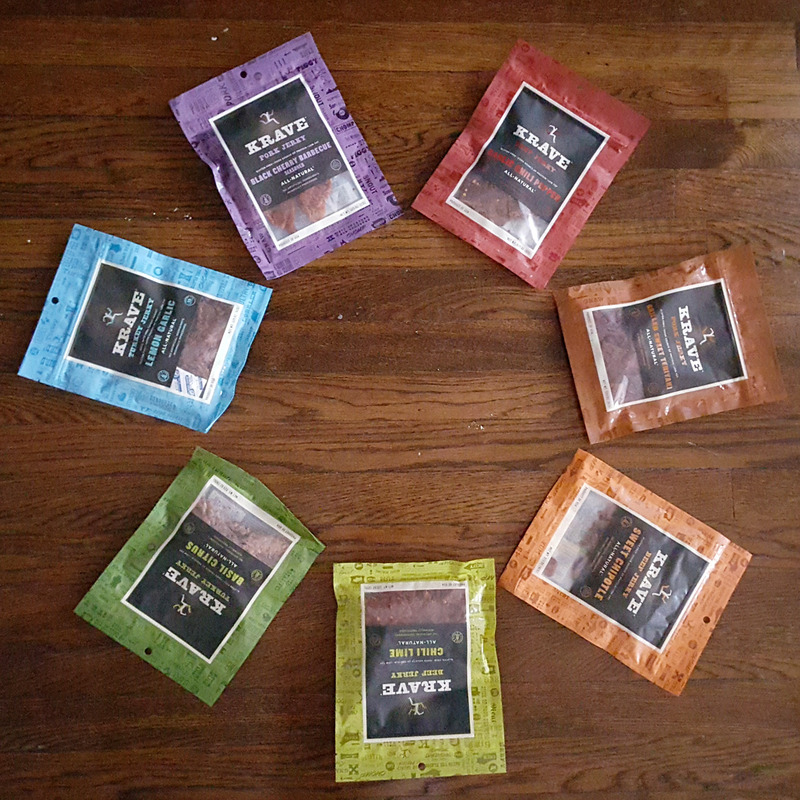 An assortment of Krave jerky as seen below! 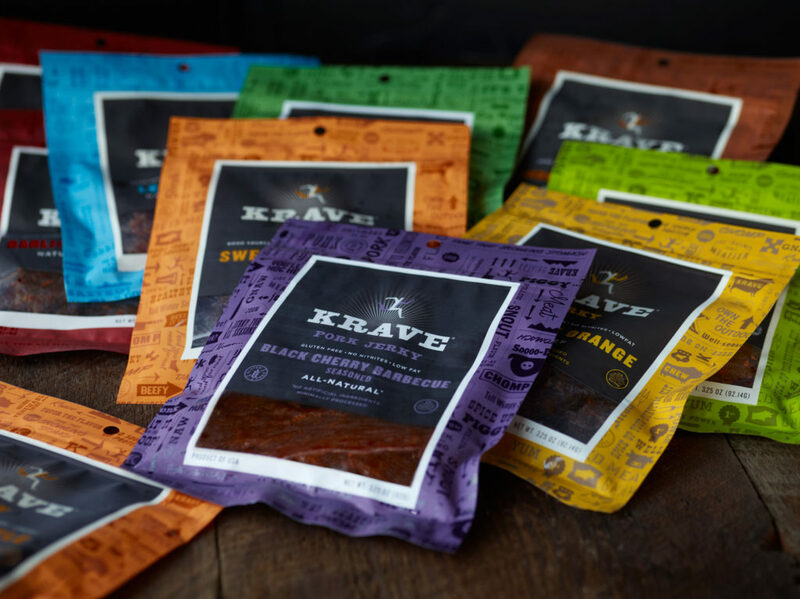 Krave is giving away over 25,000 bags of its delicious, artisanal jerky across the US! Let me tell you: their product is top notch. I’ve sampled pretty much every flavor they offer, and they are all fantastic. You can see my review of all their jerky flavors HERE. Good luck, drink up, and eat up!! !